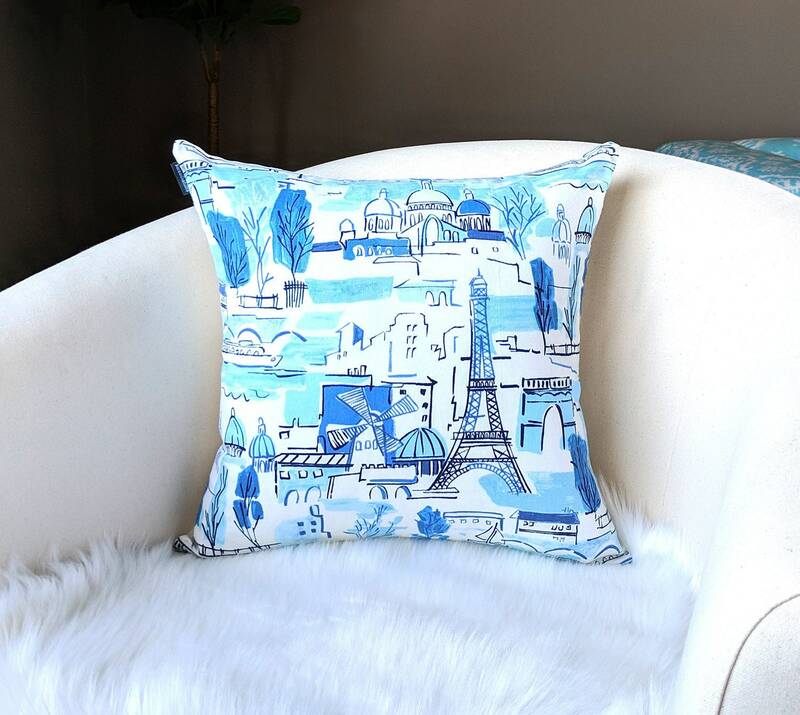 "Paris Blues" pillow cover featuring landmarks of the glamorous french city! White and blue illustration on white. Plain white on the reverse side. Recommend insert, 19" x 19"